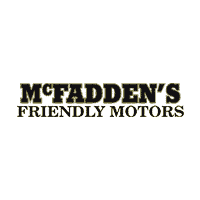 McFadden Friendly Motors Chrysler Dodge Jeep Ram features the latest manufacturer offers and incentives on all new Chrysler, Dodge, Jeep, and Ram vehicles. Discover which offers are best for you and drive off in a new car today. Thank you for considering McFadden Friendly Motors, the one stop shop for Chrysler, Dodge, Jeep, and Ram vehicles in the South Haven, St. Joseph, and Holland, MI areas. We pride ourselves on providing a comprehensive array of new Chrysler, Dodge, Jeep, and Ram vehicles, a great selection of quality used vehicles, and a highly trained and friendly staff. Our unparalleled customer service ensures a pleasant car buying experience like you’ve never had before! Whether you want a brand new Ram 1500 to tackle the toughest jobs, or a certified pre-owned Dodge Charger for your daily commute, our wide selection of new, certified pre-owned, and used cars, trucks, and SUVs is sure to have something to suit your budget and lifestyle. At McFadden Friendly Motors, we employ a hardworking staff of factory trained service professionals that are ready to help you keep your pride and joy running like clockwork for years to come. From your regularly scheduled oil changes to extensive transmission repair, our service professionals have what it takes to maintain your Chrysler, Dodge, Jeep, or Ram. Our finance staff will work with you to ensure you get the car you need at a price you’ll love. We’ll help you decide whether financing or leasing is your best option and find you the best deal possible. We also provide special offers and incentives to ensure you’re happy with your plan. While our Chrysler, Dodge, Jeep, and Ram dealership is located in South Haven, MI, we happily serve the greater southwest Michigan area including Benton Harbor, St. Joseph, Grand Rapids, Kalamazoo, Vicksburg, and Holland areas. Head over to our directions page and use the interactive map to find the best route to our showroom.